How will the spending review affect you? Government plans for public spending were outlined in today’s spending review. £18bn will be cut from welfare spending by 2015 – find out exactly where the cuts will be and how you’ll notice them. The government had already pledged to cut £11bn of welfare spending by 2014-15. Today, it committed to a further £7bn saving, bringing the total reduction to £18bn. Restricting Child Benefit is estimated to save £2.5bn of the welfare total. From January 2013 it will no longer be paid to families with a higher rate taxpayer. There had been speculation that Mr Osborne would cut further by reducing the age limit for Child Benefit but he confirmed today that it will continue until a child leaves full time education, at age 18 or 19. Universal benefits for pensioners will be left unchanged, including eye tests, prescription charges, bus passes, TV licences for the over-75s and winter fuel payments. Household welfare payments will be capped from 2013, on the basis of median earnings after tax for working households- around £500 per week by 2013. Welfare fraud will be targeted, with the intention of saving £5bn each year. The chancellor confirmed that state pension age for women will be set at 65 from November 2018. State pension age will then be increased to 66 for men and women by April 2020. The increase is expected to affect 5.1m people. The government expects the changes to save £30bn through reduced spending on state pension between 2015 and 2025 and bring in an additional £13bn through income tax and national insurance receipts. Mr Osborne admitted that the cuts will bring public sector redundancies and that the numbers employed are expected to fall by 490,000 over four years. He said that much of this would be accounted for by natural turnover, leaving posts unfilled as they become vacant. The BBC has assumed responsibility for funding the World Service and has accepted a licence fee freeze for six years. This is seen as a 16% saving in its budget. Increases in regulated rail fares, mostly paid by commuters, are currently capped at the rate of inflation as measured by the retail prices index (RPI) plus 1%. From 2012 the limit will rise to RPI plus 3%. You can read more about this in our rail fare Q&A. The long-running saga of Equitable Life savers came a step nearer to resolution, when Mr Osborne announced that he accepted the findings of the Parliamentary Ombudsman. He pledged to pay out a total of £1.5bn to compensate policyholders who he described as ‘innocent victims of a terrible failure of regulation’. Those who had with profits annuities were identified as a group that had been particularly hard hit and the Chancellor announced that they will be the first to receive payments, due to start next year. What’s your opinion on the spending review? 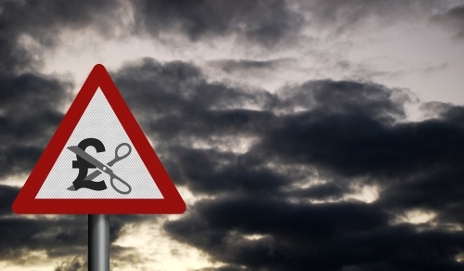 How will today’s announcements and cuts affect your life? Do you think the government should have made different decisions or do you think it could have gone further? 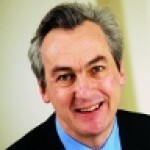 Bucks NHS (formerly the PCT have already been making staff redundant – me too! Today Stoke Mandeville Hospital announce that front line staff will go. In addition to capping household benefits at around £500/week the Chancellor should also have stopped child benefit completely for families with more than 2 children. No child benefit for the 3rd or subsequent children. Illnesses caused by smoking, alcahol abuse and obesity should not be covered by the National Health Service. Not a National Health Service then is it?? Housing Benefits are really going to hit the poor – A Tory target of course. Totally ridiculous to raise council rents – totally ignoring that some cannot pay – so what are these people to do – Starve??? Why should the poor pay for the disaster caused by the Banks? I’m sure that the only reason that pensions haven’t been hit is because the so called “Grey Vote” would be far too powerful if it became totally disenchanted with this appalling Government..
agree completely. In other countries, child allowances are reduced progressively with the second, third, forth child……I can’t believe when I heard from the news that a man who is having unemployed benefits in Tyne and Wear, fathered ten children from ten women who all get benefits. I would go one step further. If you have several childen and have been supporting them and then your circumstances change then maybe fair enough. But if you’re already on benefits and decide to have more children you shouldn’t get ANY additional state support. Instead, you’d get support from the state on how to budget, live healthily and access to basic skills training. I think our world famous welfare state has been the cause of some of our problems as its led to a culture of people becoming totally dependent on it. Not surprising that’s it’s a model replicated so rarely by other economies at the same scale as it is in Britain. Once again, not a word against the bankers. Well the treasury has added £2.5billion a year levy on the banks, but due to corporation tax cuts, some of the bigger banks could be better off. Some people are arguing that the banks have been let off, what do you think? I really think they have missed their chance. All the ‘hype’ has conditioned us to expect more. ie. – Reduce/delete Child Benefit on HOUSEHOLDS with above the upper tax limit. – Stop sending them to those who choose to live abroad especially where Cost of Living is lower. who choose to live abroad in warmer climes, as its not used for that purpose. – Similarly Bus Passes and the like to HOUSEHOLDS with above the upper tax limit. – I’m sure to get ‘slated’ but many think that our Overseas Aide should not be left out of the ‘cuts’. I can’t believe that after getting us all needing to ‘accept the inevitable’, the Higher Tax Payers especially have not been singled out for a ‘bigger dose of nasty medicine’! As proved by Mr Osborne himself (see the illuminating Dispatches programme the other night), it is all too easy and legal for the super rich to evade paying tax. If it weren’t, fewer spending cuts would have to be made. every city bankers and fund managers should support two university students. It is very easy for Minister to say spending review as they got more than 10 times of wages than ordinary people, It will not affect to their family but it will hurt many family and make permanent damage to their health, financial matter and daily life. This nasty and cruel spending review will wipe out all good images from public mind.We hope that Law and order do not reach to the breaking point.Today is 20/10/2010 and government has given cruel cut back that many family member will loose their job, will never ever vote in future election. Although I agree with that Billy – It is hard to tackle one without the other. There are plenty of british people milking the system and spending the money on drink and drugs. If I hear the phrase “We’re all in this together” again I’m going to scream! What utter poppycock, we are not. Have the MP’s taken a paycut? Will they, NO!! Let’s see them start with themselves, then I’ll be happier to hear that little phrase, especially if Cameron starts to get all the MP’s who are evading tax payments, to start paying. And why is Cameron taking advice from that Green man? The biggest evader of tax living. I am so angry that the owner of BHS/Topshop/Evans etc is allowed to run around this country and even given a seat in the House of Lords and he doesn’t pay a penny in tax?!!! Disgusting. Cameron get your own house in order first. You’ve lost my respect. Actually David Cameron did take a pay cut and he gets paid less that 120 councilors. And if I hear any more concern for the poor and the affects on those on benefits I will scream! The poor? You mean those people who will now have to think how they spend the rest of their money once they’ve paid for their satellite subscriptions, trainers, fags and cheap designer clothes on credit they could never even afford to pay off? These greedy sub-primers contributed as much to the downfall of our economy as the greedy bankers that got rich feeding them. Britain has some of the most intelligent and hardest working people in Europe, but it also has some of the most stupid and laziest. No jobs? Tell that to the millions of foreign workers that make the effort to travel thousands of miles to Britain to graft to keep our economy ticking over. Just seen some bloke on Newsnight from Merthyr Tydfil who can’t even get off his backside and look for a job in Cardiff. Why am I and my partner (an employee of Sir Philip no less), regularly working 120 hours per week between us, and the other hard-working people of this country subsidising so many lazy dole scroungers? How about some breaks for tax payers? Granted, not everyone can work and there are some truly genuine cases. But we have people in wheelchairs begging to be given work yet someone with a slightly dodgy back is claiming incapacity benefit. I am all for fairness. Work hard – play hard. Won’t work – suffer. Hi fat sam, I’ve sorted out the starred out word in your comment. I totally agree with you. It should not be an ambition of the children today to have a council house, that is there if you need help. Many people are proud to sit at home. Some say they can’t get out of bed early but they do line up early for their checks at the job centre. My husband and I will have as many kids as we can afford, but why can’t they do it? Then they complain that their children don’t have enough. It is simple maths one pie + a lot of mouths = everyone gets a smaller piece! I am not sure why people keep saying there aren’t enough jobs as I look at the newspaper everyday and its full! We can all do something! If they want benefits then they should volunteer in order to get it benefits. You don’t volunteer you don’t get benefits! Then we can keep some services running that are going away and it will be better for them as they will get skills and experience which will make them more hireable. Can’t work suffer – There are nearly 1 million young people that cannot get a job – nor do they have the facilities to get one – they have been taken by – EU migrant – World immigration. When everybody is identical in opportunity – ability – environment – and education – then the self satisfied may have a point – everybody is not – and I’ve been hearing Tory dogma more and more. Seeing a job in a newspaper makes no difference – if you have had poor parents – gone to a poor school .- live in a deprived area – only the bright get a job – In fact all of the immigrants and migrants are bright – that’s why they are here – But in the meantime blame the poor and vulnerable.for not getting a job. Don’t know much about it – Taught for 40 years in a slum school (the one where children went that were refused entry in other schools) in the most deprived area in London. I did it because I wanted to help the disadvantaged – not punish them. I did a few went to Uni or obtained good careers – many could not overcome their disadvantages inflicted on them by uncaring governments. PS loving the word ‘poppycock’, Penny. I’m surprised part of it hasn’t been *d out! I’m a ‘Grey Voter’ who tried to save and budget all my life and now have to survive on a lowly pension because Gordon Brown stole most of it when he became chancellor in 1997. I worked in the private sector so was not entitled to a massive pension for life. I stopped at two children because we could not afford any more and we survived without ‘child tax credit’ and only bought luxuries when we had saved up and could afford them. Labour didn’t save and budget so we are now in deep trouble. Why did Labour not take control of what the banks were doing and stop them. Vince Cable could see it coming 5 years ago but Labour would not listen. Give us ‘Grey Voters’ a break. Most of us are not scroungers and didn’t have benefits to fall back on. Spot on. Why do people who save and contribute their whole life always seem to be the ones that get penalised, particularly when any benefits are means-tested? That is most certainly not fair! There should be some kind of ‘No Claims Bonus’ for people who have claimed little or no benefits whilst paying tax/NI, payable as a lump sum on retirement. Most people are not scroungers – but there are some that cannot get jobs because brighter people from abroad have taken them and have no choice. I will never ever vote for the Tories or the Lib-Dems – I’d sooner vote BNP. I agree with those who advocate that child benifit should only be paid for the first two children. If you cannot aford to support children then do not have them!! I strongley feel that the beifits should not be abvailable to EU migrants particularly where the children are not resident in this country. I feel it is time to make cuts to our EU contributions, the vast waste of resourses could be better spent at home!! While it sounds good in theory, in practice we’re going to need a lot of children to pay for our pensions in the future. We’re one of those “anomaly” households with a single earner above the higher-rate threshold who is losing child benefit for our four children. Because my husband pays 40% tax, it’s like he has to earn £5000 to replace the £3000 we’re losing in child benefit — effectively a 10% cut in our family’s income, and coupled with rises in National Insurance and pension contributions, we’re taking a big hit. What’s more, we’ve worked out we’d be better off financially if we separated. Is that really what David Cameron meant by supporting marriage???? In all honesty smarmy Dave is only interested in saving tax for Dave’s friends. But to put it in perspective many people don’t earn £5000. The standard single state pension is less. I’ve read through all he comments with interest. Many seem very sensible, fat sam should look at some of like minded cronies of the late eighteenth and nineteenth century who liked to believe that the poor were only poor because they were indolent, stupid and wasteful. Fortunately men like Bournville had the tenacity to collect immense detailed statistics and proved, eventually to the nation’s satisfaction that that it was not so. richard hit the nail on the head. Like me he lived through Mrs Thatcher’s regime and probably was as horrified and distressed as I often was, to what she was doing. She deregulated the banks allowing them to go on their disgraceful gambling spree. She allowed council houses to be sold off, but did not see that something else was put in their place for people who genuinely needed accommodation at an affordable price. but instead freed landlords to charge what they liked for rent so that rented property is now impossible for some. It may seem a long time since that Tory party was in power, but how we are reaping its horrible rewards now! She was responsible for so many hard working people to have very inadequate pensions. I watched David Cameron praising the merits of our Police Force, congratulating them on their dedication to their duty. This was in the aftermath of the murder of two female police officers doing their duty. So if he is so aware of the risks they take, why is he allowing George Osbourne (aka Harry Enfield), to increase the police pension contributions for a likely lesser pension and expect them to work longer if they are not disabled or killed inthe mean time doing their duty. Was he as usual just jumping on a convenient bandwagon to shed more crocodile tears.